For years, smartphones stuck to the traditional 16:9 display format, but in March 2017 Samsung kicked off a new trend with the introduction of its Infinity Displays. These currently make use of a tall 18.5:9 aspect ratio and can be found on both premium and mid-range offerings. However, in the hope of making bezels smaller, Samsung is expected to stretch this format to 19.5:9 on its regular smartphones in 2019. 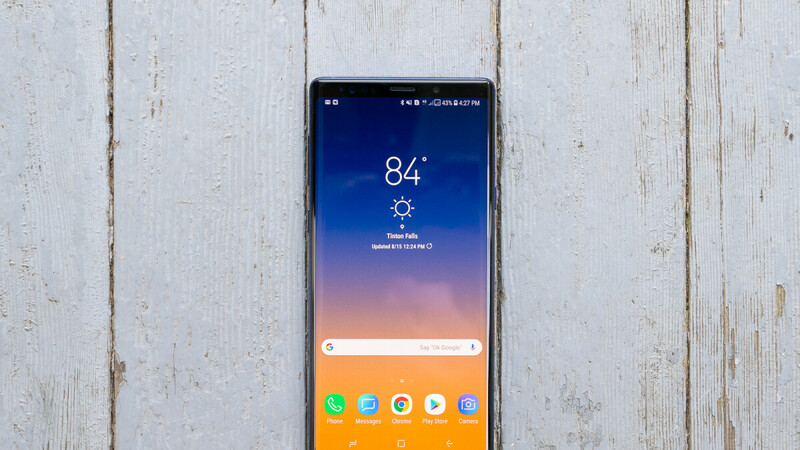 Alongside all of this, the South Korean giant is also preparing to release the foldable Galaxy F. At the moment, details such as the aspect ratio, resolution or even the bezel thickness of this device’s display remain unclear. But if a new trademark is anything to go by, the new foldable panel could be marketed as an Infinity-V display (the "V" presumably represents the fold). While there is no guarantee that this will happen, Samsung filed a trademark for the name just last week in South Korea and categorized it under smartphone displays. This is perhaps perfect timing for the company because, at the annual Samsung Developer Conference on November 7, it’s expected to announce the first official details about its foldable smartphone. If everything plays out as expected, the company’s developer conference will be followed by a separate announcement event for the Galaxy F in January. Here, Samsung should unveil the device’s design officially and announce the spec sheet, while also confirming a release date. This is not gonna come cheap. maybe over the 1.000 thrushold.